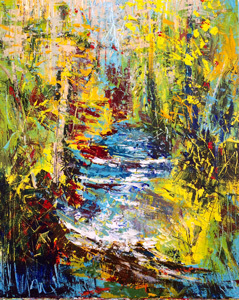 Art and creativity have always played a big part in the life of Mary Sue Palmquist, Sutter Creek Gallery’s featured artist for February. 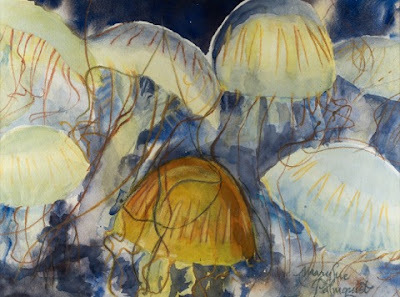 She majored in art at Midwest colleges with concentrations in watercolor, printmaking and graphics (pre-computer age), attaining a BA in Art in 1982. Life, however, as it often does, took her in other directions. For twenty years, she worked in the performing arts sector as manager of a historic movie theatre (Midway Theatre in Rockford, Illinois) and then as business manager for the Mendelssohn Performing Arts. During this time, Palmquist kept her creativity alive by studying calligraphy and Chinese brush painting. Her artistic journey led her to studying art therapy in Milwaukee and eventually working as an after-school arts teacher for the Rockford Area Arts Council. 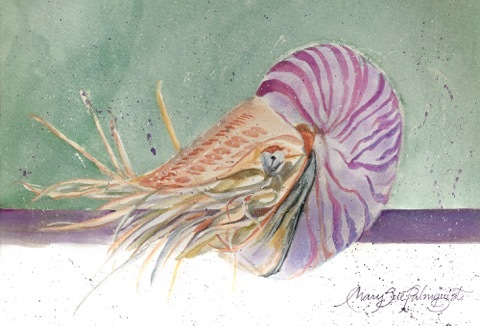 Sutter Creek Gallery invites you to visit with Mary Sue Palmquist at the reception in her honor on Saturday, February 3, beginning at 2 p.m. She is one of the many local artists exhibiting at the cooperative located in the heart of Sutter Creek at 35 Main Street. 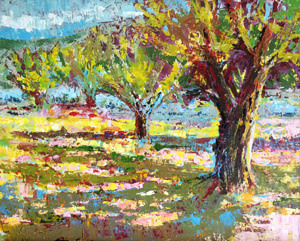 The gallery is open daily, except Tuesday, from 10 a.m. to 5 p.m. For additional information, call 209-267-0228, email suttercreekgallery@gmail.com or visit www.suttercreekgallery.com. February at Gallery 10: "Fur & Feathers"
“Fur and Feathers” will be an exciting theme for the February show at Gallery 10, 15 Eureka Street, Sutter Creek. Members and Consignors will contribute paintings and other media, including clay figures, to celebrate the animals we love. It may be pets, or it may be wildlife, all critters great and small are sure to find a place in the front space of Gallery 10. 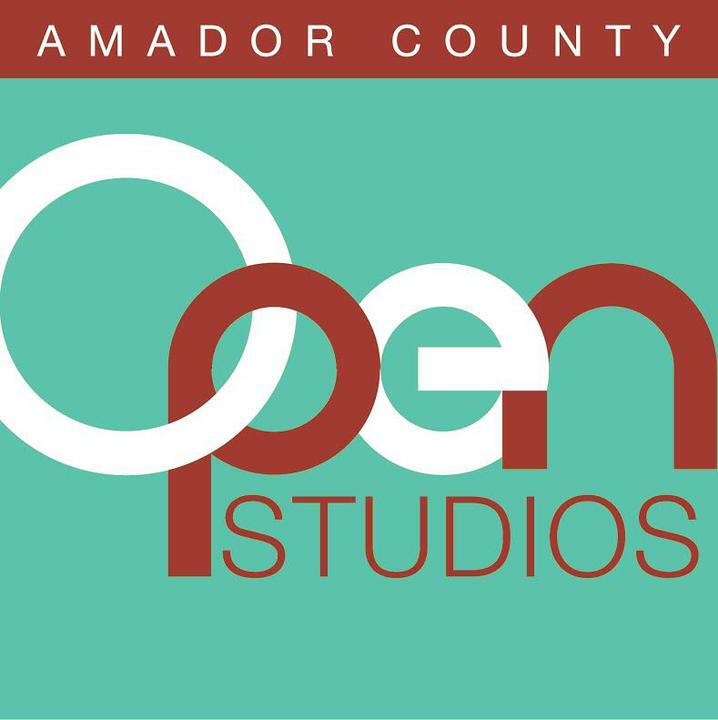 A reception will be held on the first Saturday, February 3, during the Amador Art Trek, at Gallery 10, 2-4 P.M. We look forward to the show and welcome everyone to enjoy it with us! Gallery 10 is open Thursday-Monday, 11-4 , during the winter months. “Fur and Feathers” will hang all month. Given George Lambert's family background, it shouldn't have been surprising that he pursued art upon retirement. His parents and siblings painted, pottered, sculpted or worked in wood. 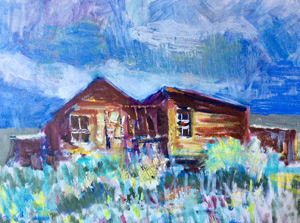 George chose painting as his medium, expressing himself in oils, acrylics and watercolors. He will be the featured artist at Sutter Creek Gallery in January. 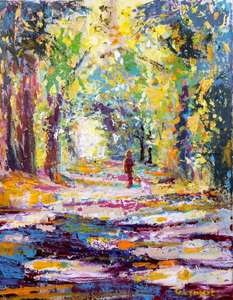 George enjoys experimenting with a variety of painting techniques including loose brushstrokes, vibrant colors and rich textures which result in an abstract impressionist style. Trying new things and exploring various artistic styles is an important part of the art experience that gives him the most pleasure. George rarely makes use of typical drawing tools, such as pencil, pen or charcoal, to establish compositions. Instead, he dives right in and draws with a brush loaded with paint, giving his artwork freshness and a sense of spontaneity. His subjects include landscapes, seascapes and scenes with figures predominating. 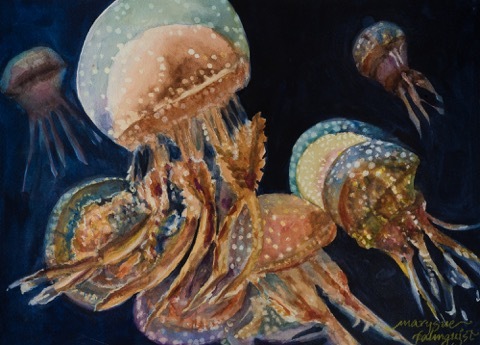 The artist has exhibited at the Amador County Fair fine arts show and has received many awards, including three for Best of Show and multiple awards for First Place. In recent years, George's art has appeared in the KVIE public television fine arts auction. In 2015, his painting of the iconic Tower Bridge, "Sacramento Sparkle," received a Hewell Howser California Gold award. He has been a member of the Sutter Creek Gallery since its inception, and images of his work can be seen on his website, www.georgelambertart.com. Sutter Creek Gallery invites you to spend some time with George Lambert at his reception on Saturday, January 6, 2018, beginning at 2 p.m. Light refreshments will be served. We hope to see you there! January at Gallery 10: "A Second Chance"
Out with the old, In with the new! For the New Year, Gallery 10, 15 Eureka Street, Sutter Creek, is presenting a show of studio treasures for discerning collectors. Our member and consignor artists are contributing paintings and artwork that has been hidden away for one reason or another. Often artists find they pack up paintings when a competition is over, or a show is finished, and they forget they have them. We’re asking our artists to find such treasures, so we might discover we have some masterpieces to display, and the prices will be attractive.